Dear Lord, let us discern for ourselves what is right; let us learn together what is good. I use Your mighty weapons, not worldly weapons, to knock down the strongholds of human reasoning and to destroy false arguments. By Your power I demolish arguments and every pretension that sets itself up against the knowledge of You, and take captive every thought to make it obedient to Christ. By Your divine power, thank You for giving me everything I need for living a godly life. I have received all of this by coming to know You, the One Who called me to Yourself by means of Your marvelous glory and excellence. I will discern and understand what really matters, so I may live pure and blameless until the day Jesus returns. Inspired By: Job 34:4; 2 Corinthians 10:4-5; 2 Peter 1:3; Philippians 1:10. The gift of discernment does not only tell you about truth and lies, it also tells you about situations unfolding before you, or about people, what they are saying, the lie and acts put out, versus who they really are. Their motives! Discernment may be a burden if handled by self! It is a gift of the spirit and should be treated as such. 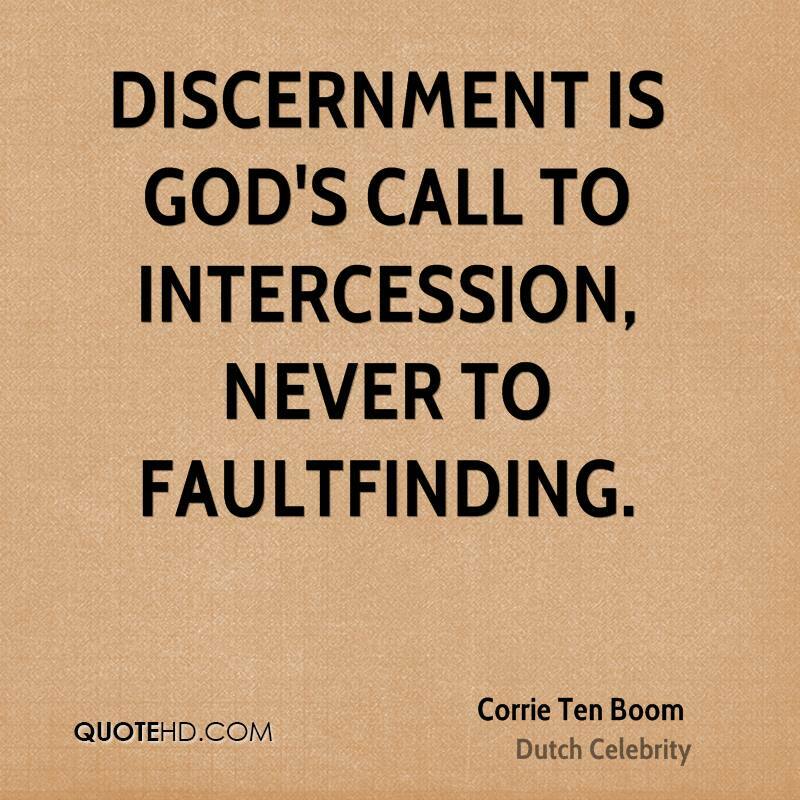 Discernment also checks the discerning, it reveals to you your own motives, errors or what not. This helps you to treat your own illness – remove the log from your own eyes, and to be understanding, forgiving and less critical of others. However, being able to smell a lie, see, hear and discern duplicity and inauthenticity a mile away, will alter your action and reaction to a situation. You can see the game playing right before your eyes. It may become difficult to keep a straight face and allow the Spirit to work it out! Ask for grace here! If you and I hear what is not spoken, see what is invisible, like an X-ray eye, will we be able to look people in the face? Look at ourselves? I guess not! Purge, therefore, the evil from within and among you says the Lord! We all, therefore, need to cultivate the presence of the Holy Spirit, to help us in the renewing of our minds. May the fire of the Holy Spirit purify our hearts, body, and soul! 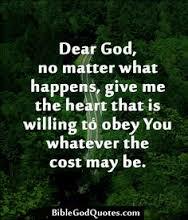 Only then can we really be a living sacrifice unto the Lord our God. Eyes That Sees, Ears That Hears, Give To Us Lord! 1 Samuel 10: 14 Then Saul’s uncle said to him and his servant, “Where did you go?” So he said, “To look for the donkeys. When we saw that they were nowhere to be found, we went to Samuel.” 15 And Saul’s uncle said, “Tell me, please, what Samuel said to you.” 16 So Saul said to his uncle, “He told us plainly that the donkeys had been found.” But about the matter of the kingdom, he did not tell him what Samuel had said. Beware of those that act like they care for you and you know, kind of, its all a facade. They are only acting as such to know your plan so as to jeopardize you. Pray for discernment to see through such, but more importantly yourself, for the heart of man is desperately wicked, who can know it. Voice of Caution! Heed It!!! In life we make decisions every second for variety of issue and situation that are logical, reasonable and sometime just impulsive. Regardless of what,why, how and when, there are consequence for every actions and reaction. We often find ourselves in situations that require more of us than we are naturally predisposed too. What do we do then? We seek for help from trusted counselor, mentor and the likes. We also have the option of reaching out to a higher being by the Holy Spirit which is actually the best option. We could from the beginning enlist the Holy Spirit from inception to accompany us throughout the journey knowing any and many wrong turns will delay, mar, or hinder our purposes in life. What voice of caution have you been ignoring? What voice of caution are you working against to silence? Be cautious, it might save your very life? You see friends, our God works in mysterious ways. He uses the foolish things of this world to confound the wise. The seemingly irrelevant, inconspicuous thing, person, sight and so on might well be an instrument of caution, change and what not that God himself has given you for your good. A gift not well wrapped or with unattractive covering does not change the value of the gift or the giver. Only he/she with discernment and the ability to see the invincible will be able to step back and think, reflecting on past and present to see the invincible hand of the Sovereign God unfolding treasures in earthen vessels for the greater good of all. Dear Lord Jesus, I pray for grace for my friends and I to see the invincible, hear the inaudible and receive virtue from your very presence to be and do all that pleases you. May our very life give you pleasure Lord in Jesus mighty name. Lord Jesus, for some of my friends that are at a lost as to what next, step into their boat and give them direction and purpose, let their life count Lord in Jesus mighty name.